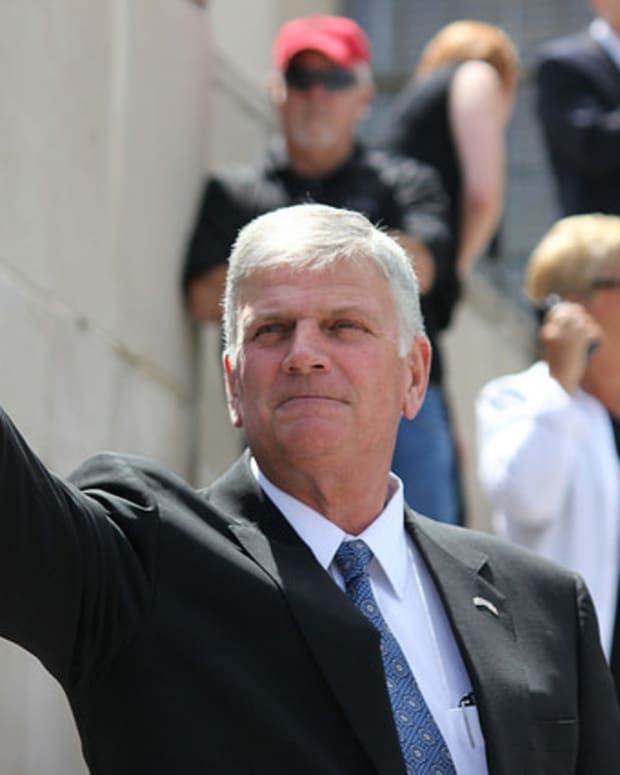 Christian leaders and city officials in Vancouver, Canada, are trying to stop evangelist Franklin Graham from speaking at the Festival of Hope event held March 3-5 and produced by the Billy Graham Evangelistic Association. 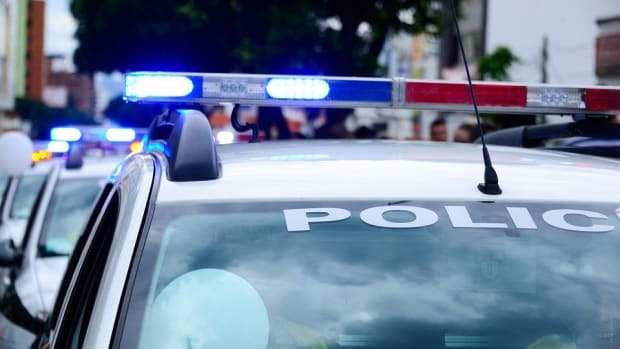 "This is unusual for us to deal with in Vancouver -- this kind of individual and this kind of hate rhetoric," Councillor Tim Stevenson told CBC News. Graham has called Islam "a very evil and a very wicked religion," made numerous negative remarks about the LGBT community, reportedly called on the U.S. government "to use weapons of mass destruction if need be," and has praised Russian President Vladimir Putin. "We live in a country that has free speech, but there&apos;s a difference between free speech and hate speech," Stevenson, an ordained minister of the United Church of Canada, added. "The city has an issue of safety here and we&apos;re really concerned about it." Vancouver Mayor Gregor Robertson and local leaders from Christian groups met on Feb. 10, and wrote a letter calling for Graham to be dropped from the event. Although this event is supported by many local churches in the area, there are many others in the Christian community who are uneasy with having Franklin Graham speak in Vancouver, in light of his outspoken bigotry targeting refugees, muslims and the LGBTQ+ community. "We have no problem with someone coming to preach the gospel," Tom Cooper, a minister and the president of the City in Focus Group, told CBC News. "But it can&apos;t be such a divisive figure that&apos;s so anti-Muslim, anti-gay, anti-black." Frank King of the BGEA of Canada said that opposition to the Christian festival is normal: "With every Festival of Hope we do in every city around the world there&apos;s always going to be some opposition to what we&apos;re doing." King said Graham will not be removed from the three-day event. 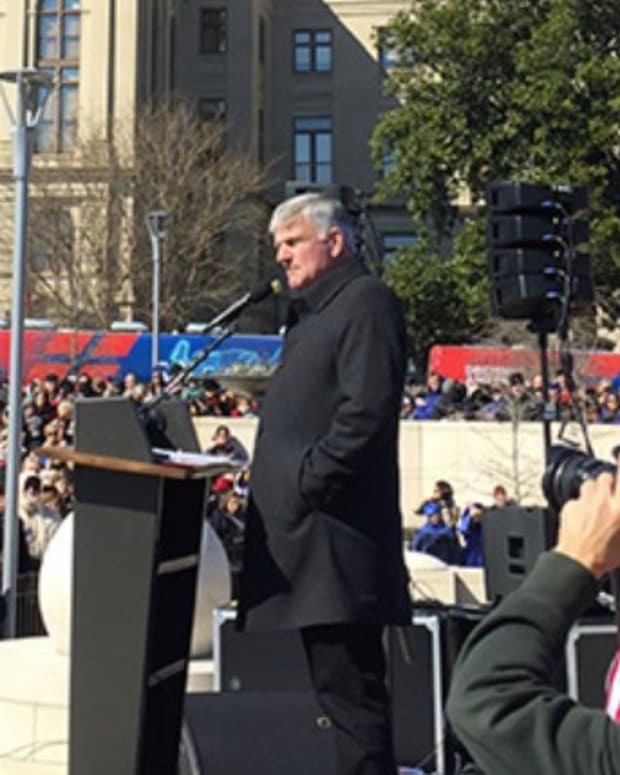 Graham heads up the BGEA and Samaritan&apos;s Purse, from which he takes two-full time salaries, noted The Charlotte Observer in 2015. "To even entertain any kind of thought of changing any event ... we simply would not do that," King told CBC News. "He&apos;ll be inviting people to become Christians at each of these events -- that&apos;s his sole purpose for being here in Vancouver." 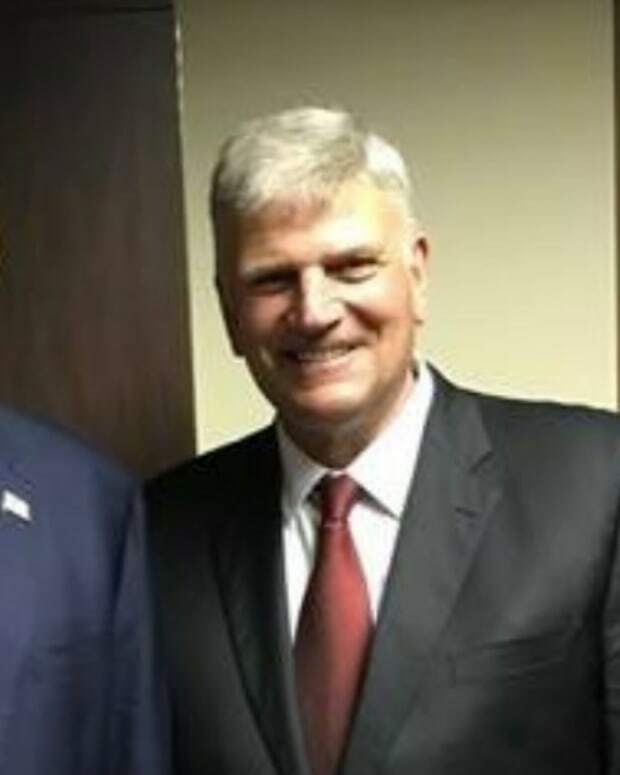 Franklin Graham is not coming to present an American political situation or his perspectives politically. It really has nothing to do with the Festival of Hope. It has nothing to do with him coming here. To me, I feel there&apos;s a lot of fear that&apos;s being generated that is unfounded.